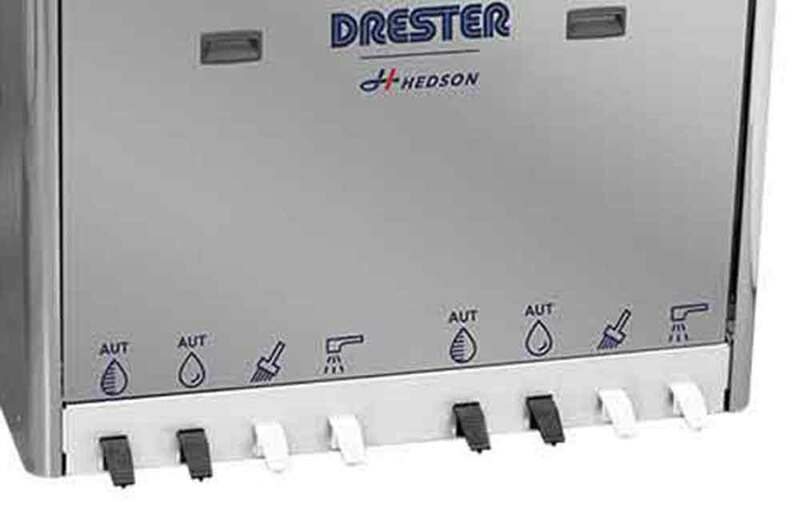 All Drester Boxer by Hedson gun cleaners also feature a patented magnetic gun holder which simplifies the cleaning and use of the gun cleaner. 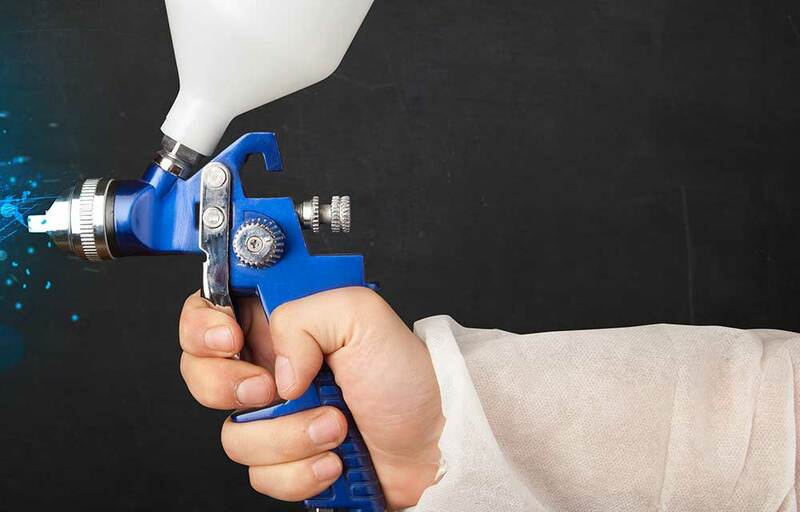 The magnetic gun holder pulls the trigger to open the paint channel and fixates a gun in seconds, in one simple step. 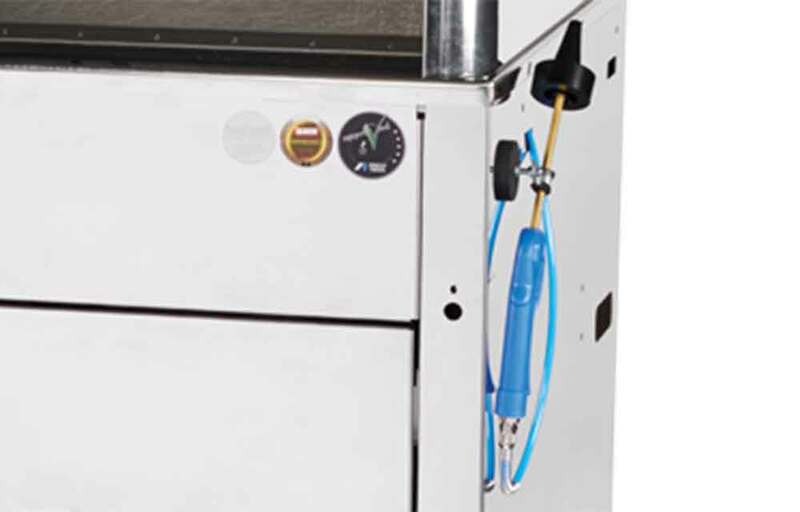 It fixates the gun in a position where the gun’s air channels are protected, facing downwards, so there is no risk of solvent entering the air channels. 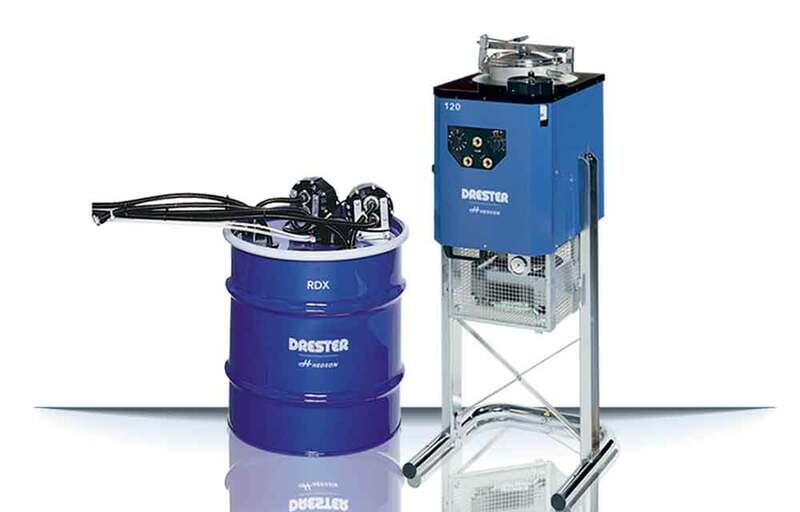 The Drester boxer solvent cleaning process together with the unparalleled reliability and durability, makes the Drester by Hedson equipment a better choice and an investment that will increase the profitability. 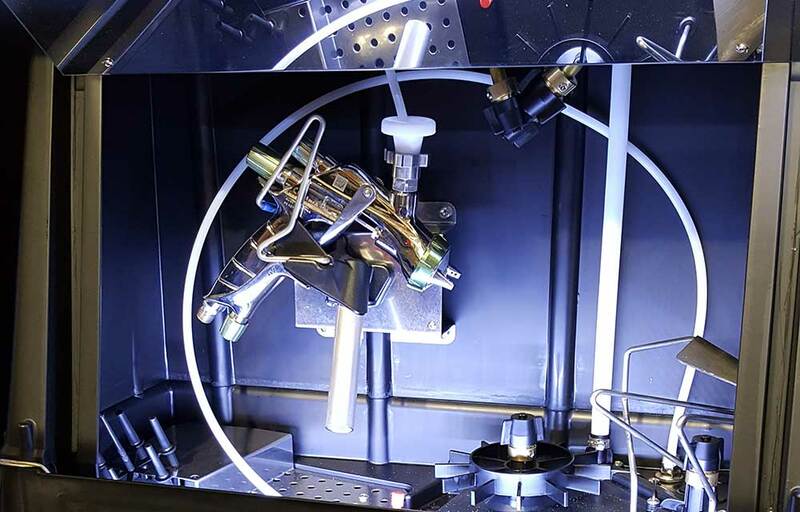 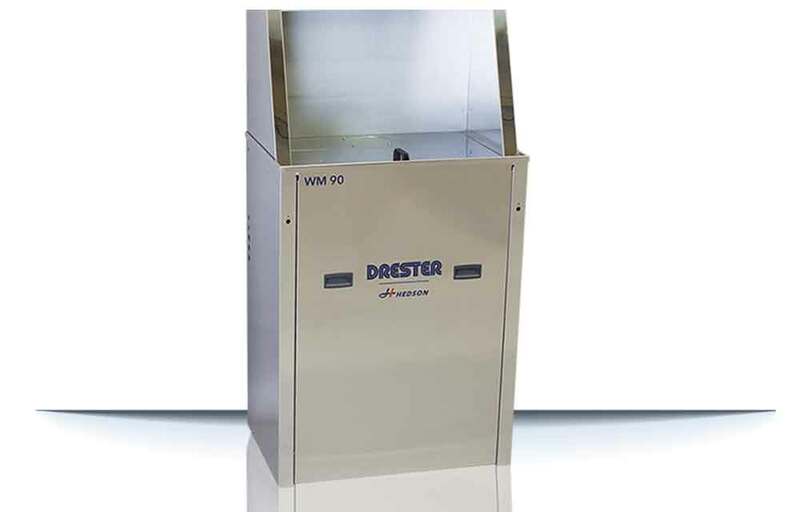 These gun cleaners are also equipped with hoods for protections from splashing and enable different types of ventilation: Drester Airvent, Drester Minivent or central ventilation. 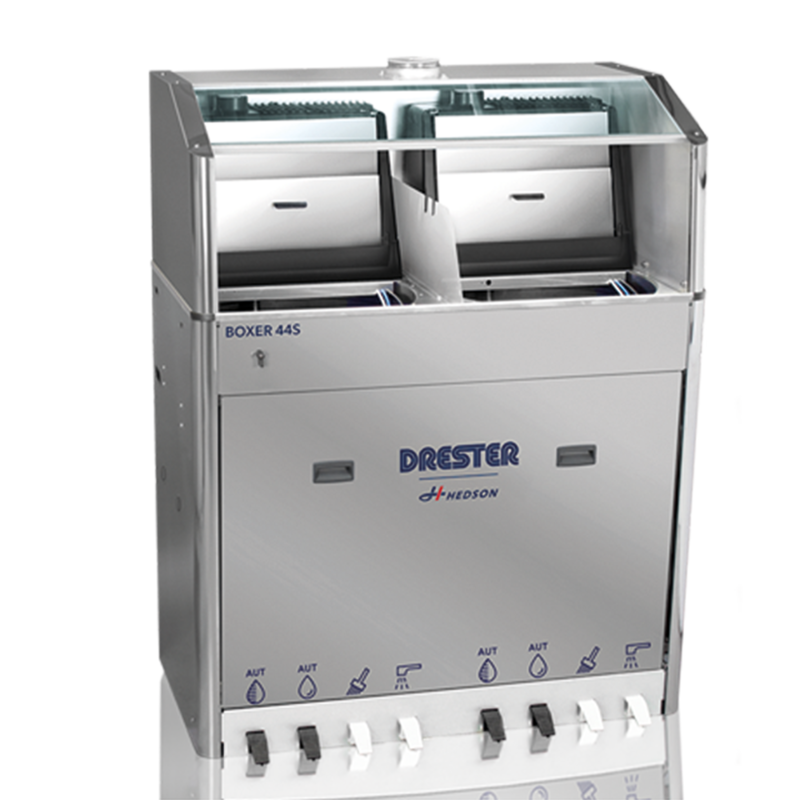 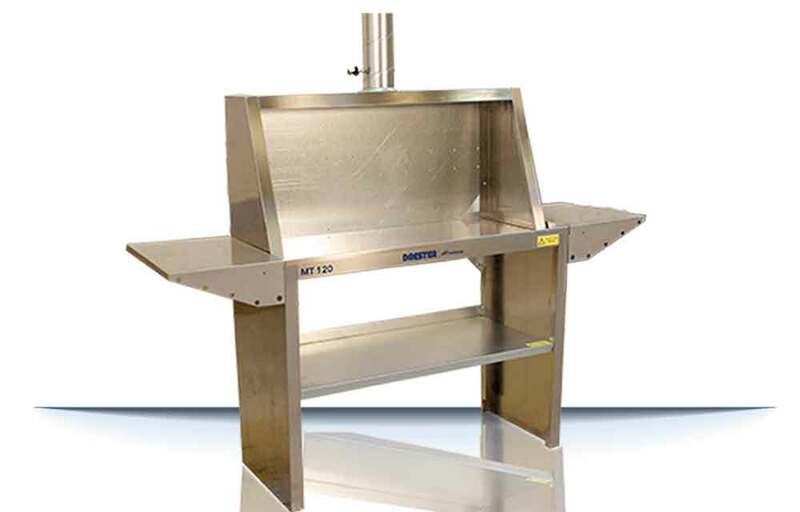 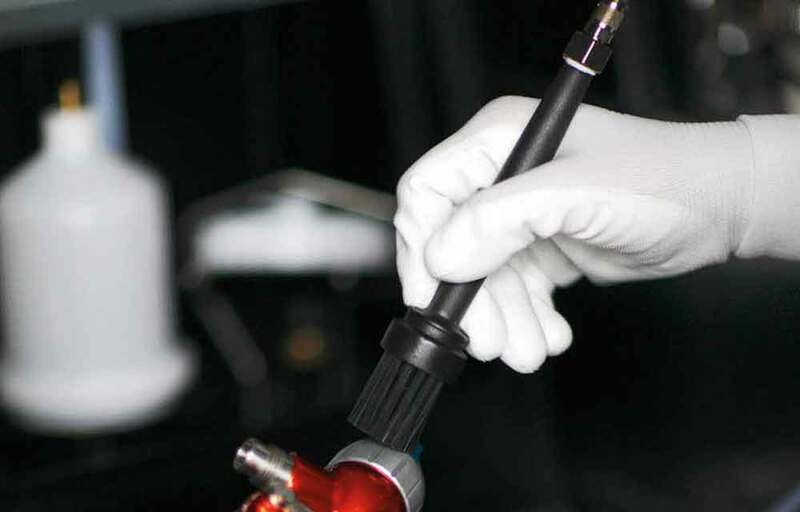 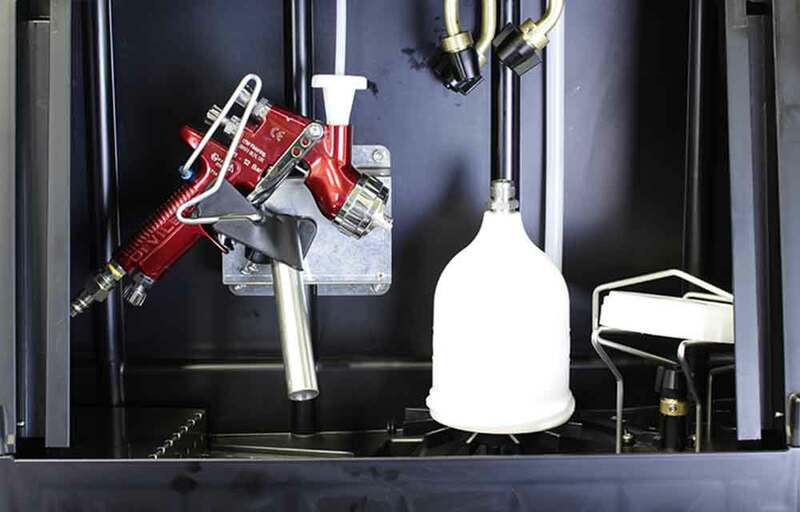 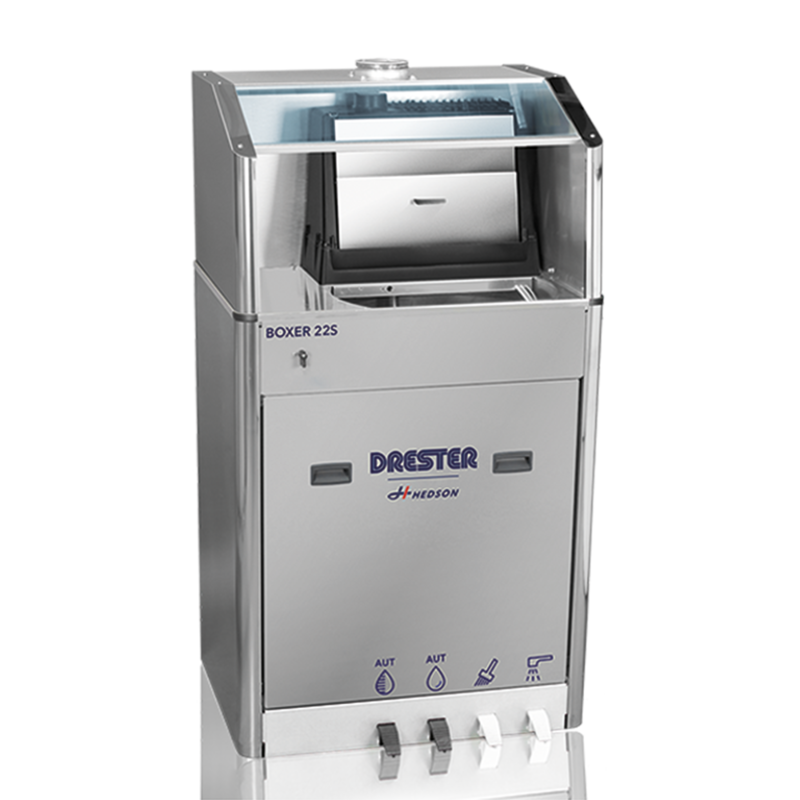 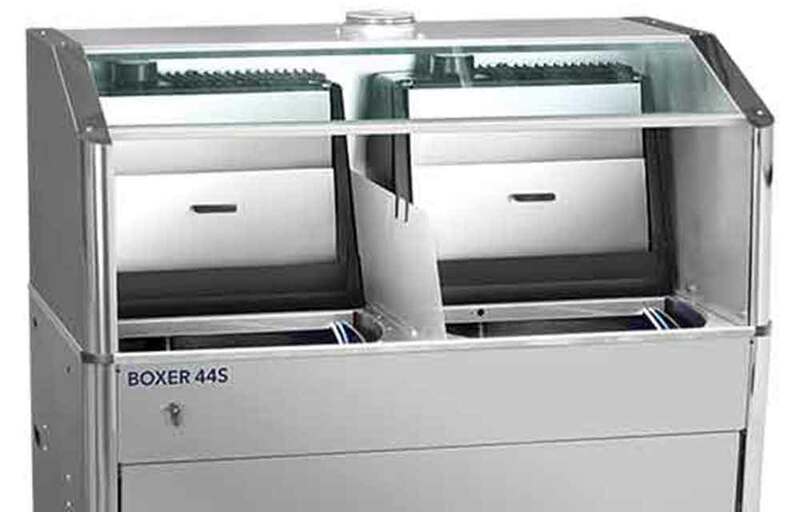 Drester Boxer for solvent-based cleaning offers two models; a compact-size unit and a full-size unit.